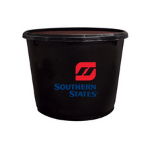 Southern States Cattle-Lic Brood Cow 30-15 Tub 200lb. Southern States Cattle-Lic Brood Cow 30-15 Tub is a low moisture free choice supplement for beef cattle on pasture. Intake average is 0.50 - 1.1 lbs. per 1,000 lbs. bodyweight per day.